JIP, the Japanese company now controlling Vaio, has announced the launch (or relaunch) of the Vaio Fit and the Vaio Pro range, which appear to be identical, only without the Sony branding. While it's unlikely that someone has gone around with a penny scratching off the Sony logos, it appears this is simply a sell off of existing stock. The laptops will only be on sale in Japan as the new owners seek to establish themselves at home before reintroducing the Vaio brand abroad. The Vaio Fit comes in 11-inch, 13.3-inch, 14-inch and 15.5-inch display sizes and features a flip design allowing it to double as a tablet. It has an Intel Core i7 processor, 1080p full HD screen resolution, up to 8GB of RAM and an Intel HD 4400 graphics card. 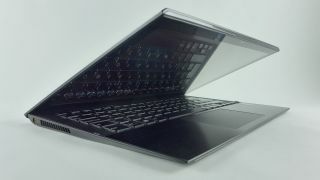 The Vaio Pro has a 13-inch 1080p display and an Intel Haswell chipset. Sony sold off the Vaio brand in February this year after failing to make it profitable.